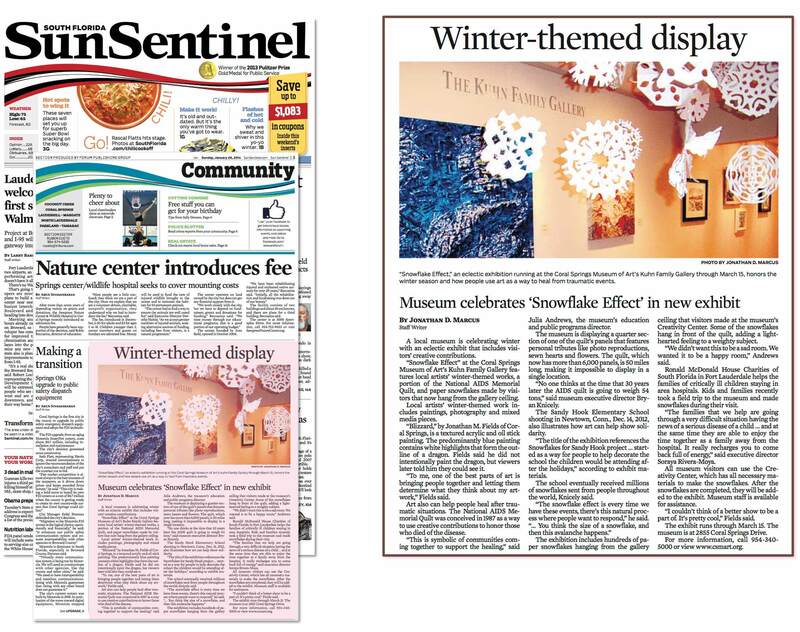 Largest local newspaper featured my painting and interviewed me for the exhibit. 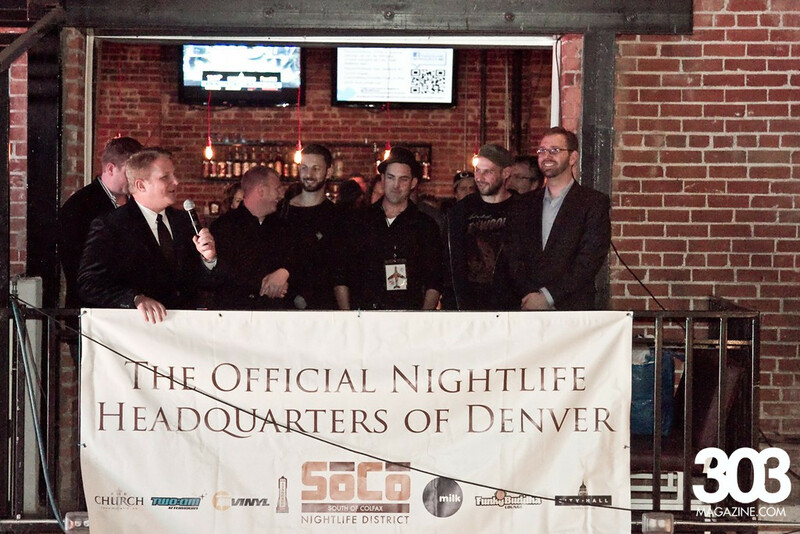 More info about the exhibit can be found here. Click image below to read interview. Season 6 of College Hill featured my work in the house, including the main living room area. 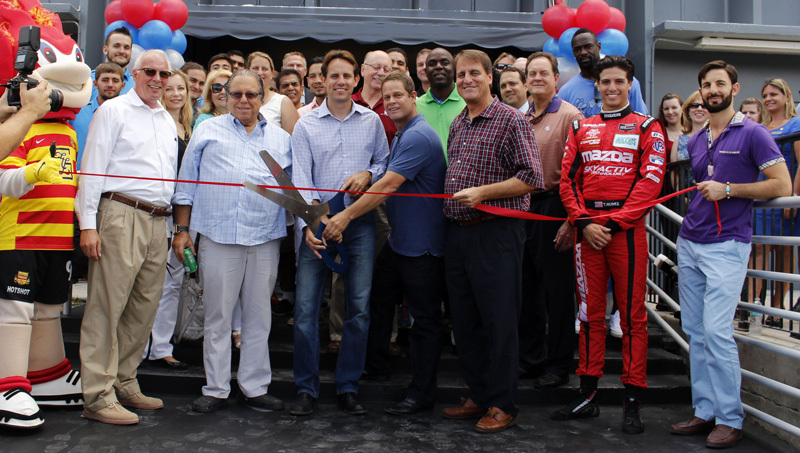 Featured from left to right: GM, Billionaire owner Michael Dezer, owners Aaron Parkinson & David Goldfarb cutting ribbon, Mayor of Ft. Lauderdale Jack Seiler, Pro Maza Race Car Driver T. Nunez, and myself in Purple Shirt. NFL Superstar Jevon Kearse with the blue shirt on the back right. 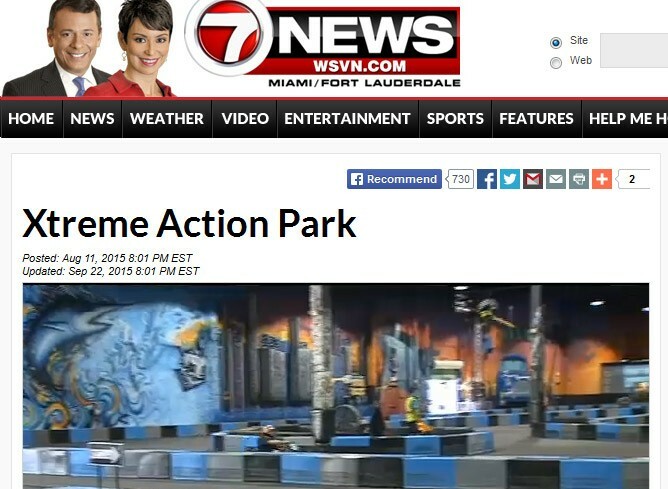 More info about the grand opening of Xtreme Action Park can be found here. 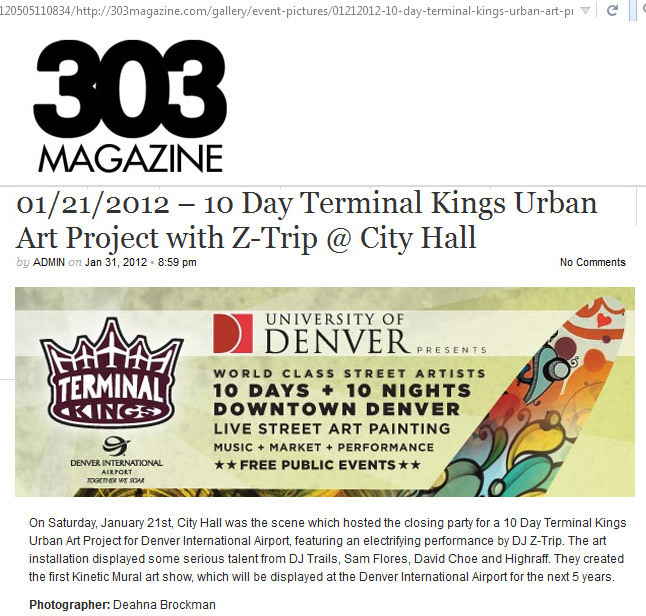 My mural was displayed with some of the top street artists in the world and I was also the resident DJ for 10 days opening up for superstar acts like DJ Z-Trip & Souls of Mischief. For more info, click here. 5th Anniversary of the BBAD Arts District Inspirational Quotes Murals. To read the full New Times story, click here. 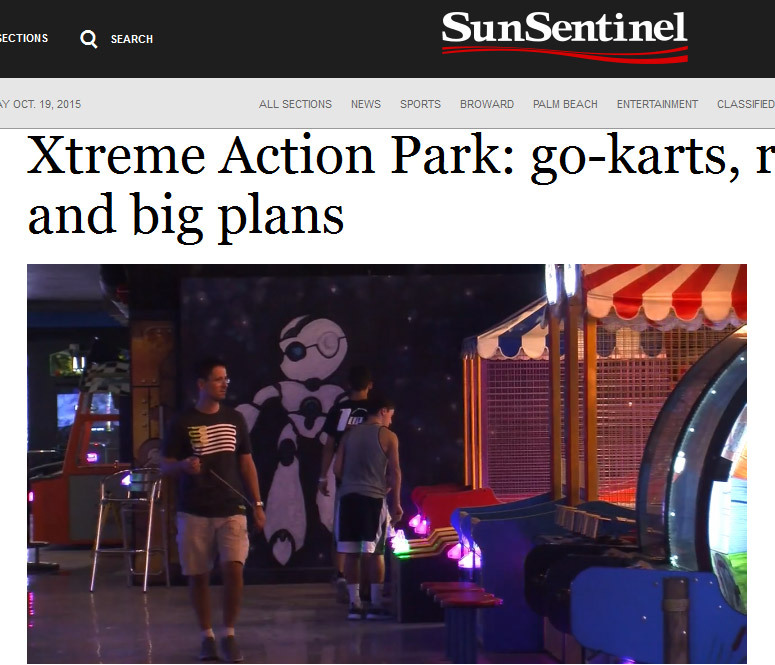 To read the SunSentinel story, click here. To see a close up of the finished mural, click here. 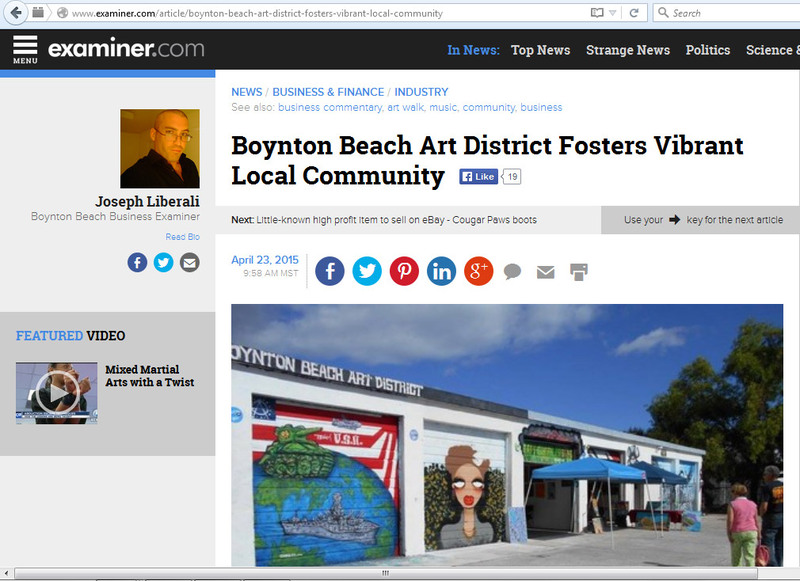 For 3 years, my murals were chosen for the entrance to this South Florida Art District. To read the full examiner.com story, click here. To see a close up of the mural and the rest of the project, click here. 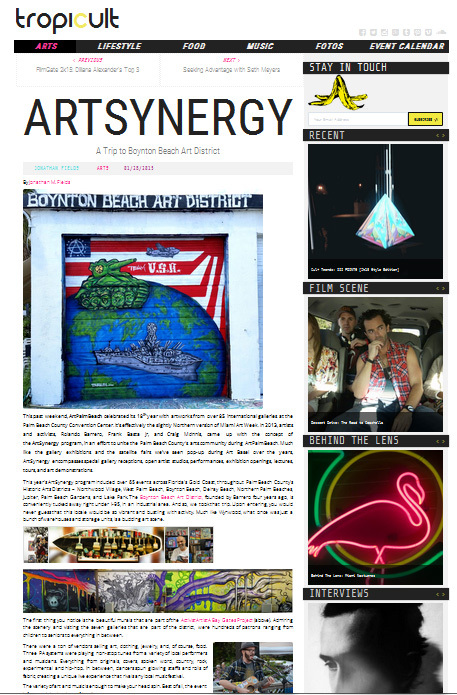 Mural featured in Tropicult for Art Palm Beach & Art Synergy Review. To see a close up of the mural and the rest of the project, click here. 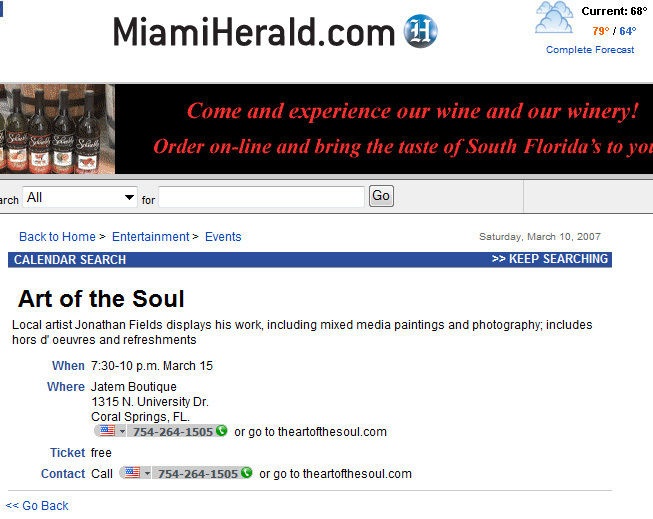 Miami Art Guide featured my painting for the article on the Suyu Gallery Exhibition in the North Miami Art District. 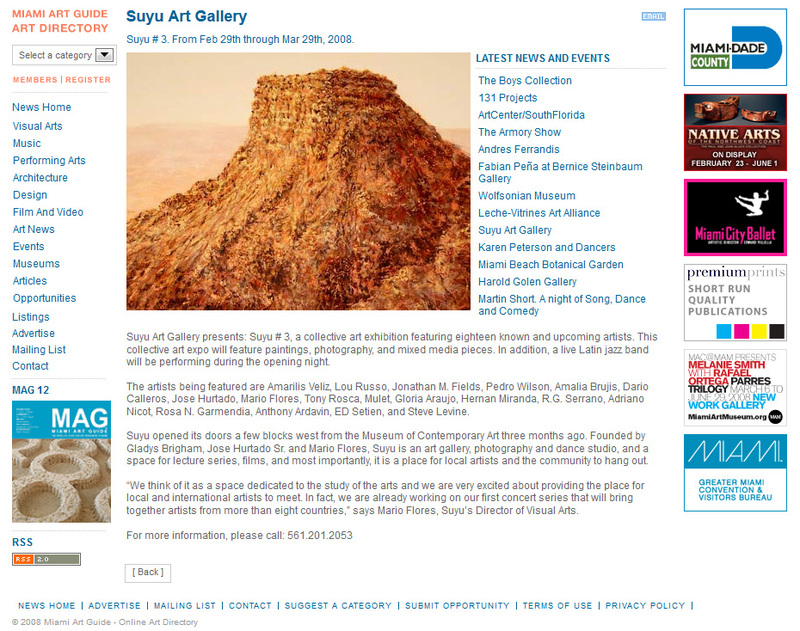 For more info about the art gallery show, click here. 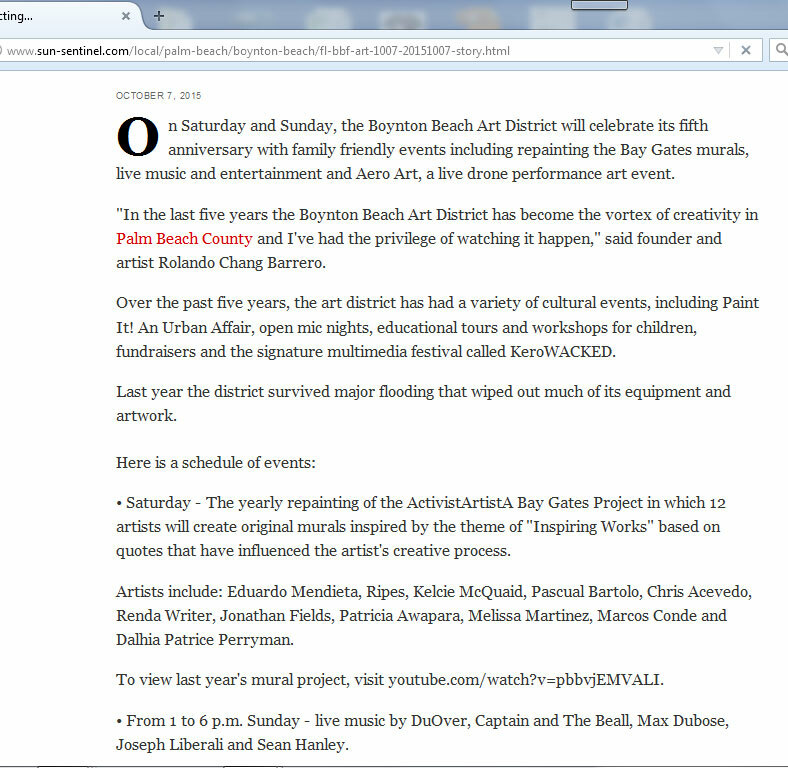 To read the Miami Art Guide Article, click here.